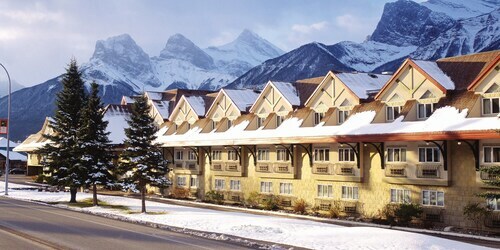 Lock in a Canmore vacation package on Expedia today! This is by far one of the simplest ways to save time and cash for your epic vacation. Search our intercontinental database of more than 400 partner airlines and 321,000 properties worldwide. Too many on there to select from? Don't stress — we'll help you decide! About to take off on your Canmore vacation? Can't work out what things to include in your travel program? No need to stress — we're here to give you a few hints. 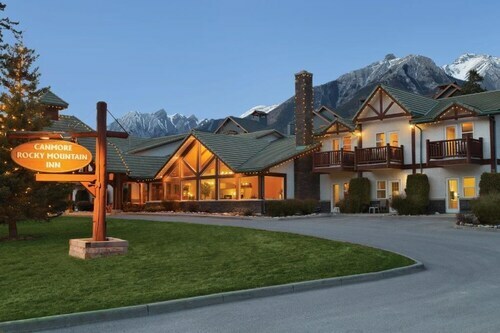 Whether you're trying to hit a hole-in-one or simply in the mood for a couple of friendly rounds, you're sure to have a ball (pun intended) at Canmore Golf and Curling Club. There's an excellent range of things to keep you busy in this destination. You'll discover an excellent variety of anthropological items on exhibition at Canmore Museum and Geoscience Centre. It's guaranteed to be a fun and educational activity for the whole family! Still got some time to spare? After a way to soothe stress of your hectic life? Enjoy the fresh air as you take off on an adventure through Canmore Nordic Centre Provincial Park. Travel isn't just about destinations and swish hotels. It's about the experiences you embrace and the memorable moments you collect along the way! For a more comprehensive guide to activities, jump onto our Canmore things to do page. Explore Canmore with ease knowing that you have a place to sleep. With no less than 35 properties to pick from, booking a comfy bed for your luxury getaway or cheap vacation won't be a problem! 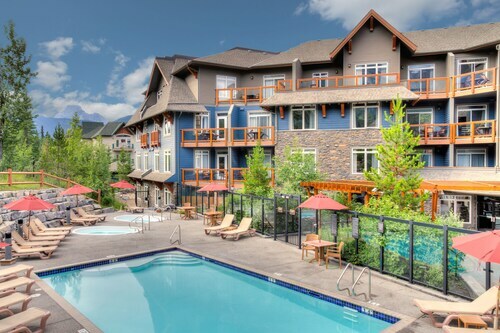 Start your search for a dreamy Canmore base by looking into the amenities and rates at The Summit at Grande Rockies (901 Mountain Street) and the Solara Resort and Spa - Bellstar Hotels & Resorts (187 Kananaskis Way). If you don't fancy spending such big bucks, why not stay somewhere less expensive? Have a look at the Canmore Rocky Mountain Inn (1719 Bow Valley Trail) or the Rocky Mountain Ski Lodge (1711 Bow Valley Trail). Getting ready for your trip to Canmore? Wondering where you'll be flying into? Calgary International Airport (YYC) is your nearest option. Once you've got your feet on the ground and departed from the arrival gate, you'll be 60 miles (97 km) from the bustle of the main areas. Situated in Canmore, this eco-friendly hotel is within 1 mi (2 km) of Canmore Golf and Curling Club and Canmore Museum and Geoscience Centre. Cross Zee Ranch and Yamnuska Mountain Adventures are also within 2 mi (3 km). Stoneridge Mountain Resort by CLIQUE is near the small town of Canmore, a 20-minute drive from Banff, and less than an hour from spectacular Lake Louise. 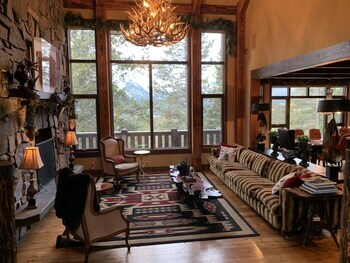 Guests can set out to ski, hike, and bike in the surrounding mountains from nearby Canmore Nordic Center, and walk to town in 20 minutes. 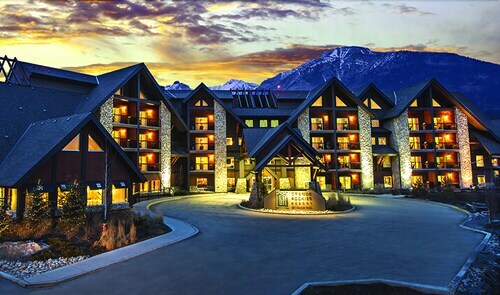 Situated in Canmore, this hotel is within 1 mi (2 km) of Canmore Museum and Geoscience Centre, Canmore Golf and Curling Club, and Yamnuska Mountain Adventures. Canmore Nordic Centre Provincial Park and Cross Zee Ranch are also within 3 mi (5 km). 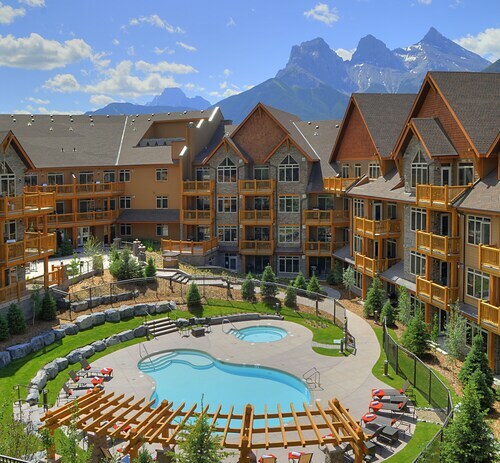 This family-friendly Canmore resort is located in the mountains, within 1 mi (2 km) of Yamnuska Mountain Adventures, Canmore Golf and Curling Club, and Canmore Museum and Geoscience Centre. Cross Zee Ranch and Canmore Caverns are also within 2 mi (3 km). Situated in Canmore, this hotel is within 1 mi (2 km) of Canmore Golf and Curling Club and Canmore Museum and Geoscience Centre. Cross Zee Ranch and Yamnuska Mountain Adventures are also within 2 mi (3 km). Blackstone Mountain Lodge by CLIQUE is nestled in the wilderness of Banff National Park, yet only 4 minutes by car - or 20 minutes on foot - from Canmore with its shops, restaurants, and Museum & Geoscience Centre. Guests can drive to spectacular Lake Louise in less than an hour. Located 1 km (0.6 mi) from downtown Canmore, the largest town in the Canadian Rockies, this hotel 8 km (5 mi) from Banff National Park and 16.5 km (10 mi) from the Upper Hot Springs. 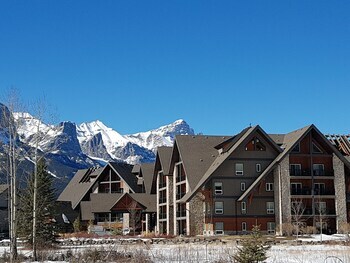 Situated in the mountains, this eco-friendly condo building is 2.3 mi (3.8 km) from Canmore Nordic Centre Provincial Park and within 12 mi (20 km) of Stewart Creek Golf Club and Spray Lakes. Mount Norquay Ski Resort and Banff Gondola are also within 25 mi (40 km).